We enjoyed our week stopover in Austin, but checked out of the hotel Saturday and continued our westward progress across Texas. 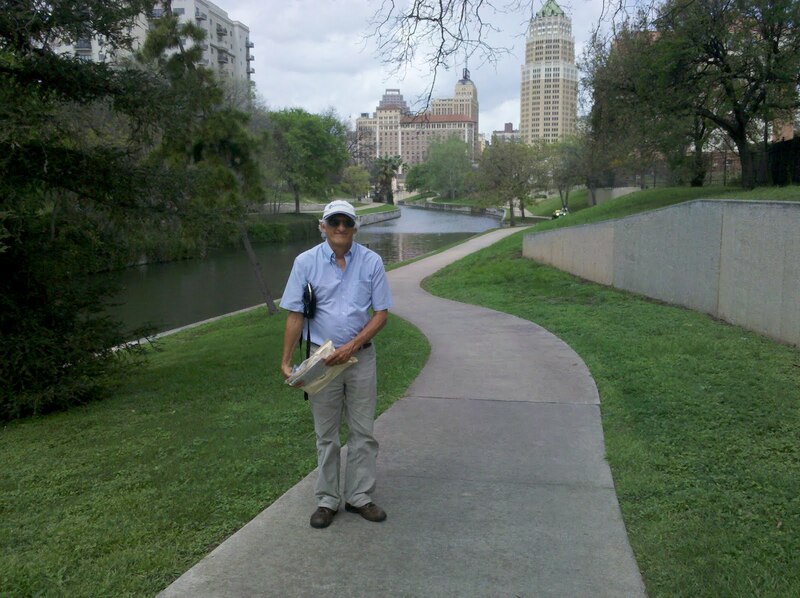 A couple of days before we left Austin, we spent an afternoon sightseeing in nearby San Antonio. 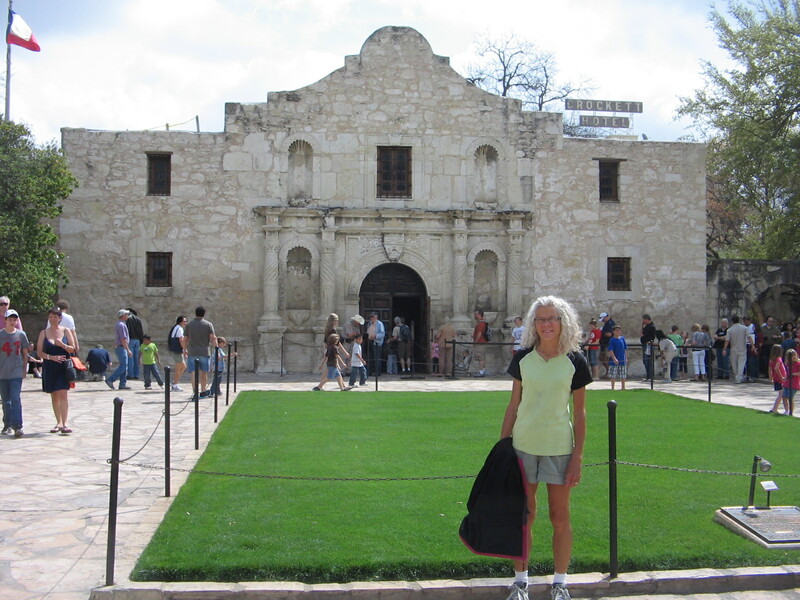 After all, one wouldn’t want to leave this part of Texas without a visit to the Alamo. 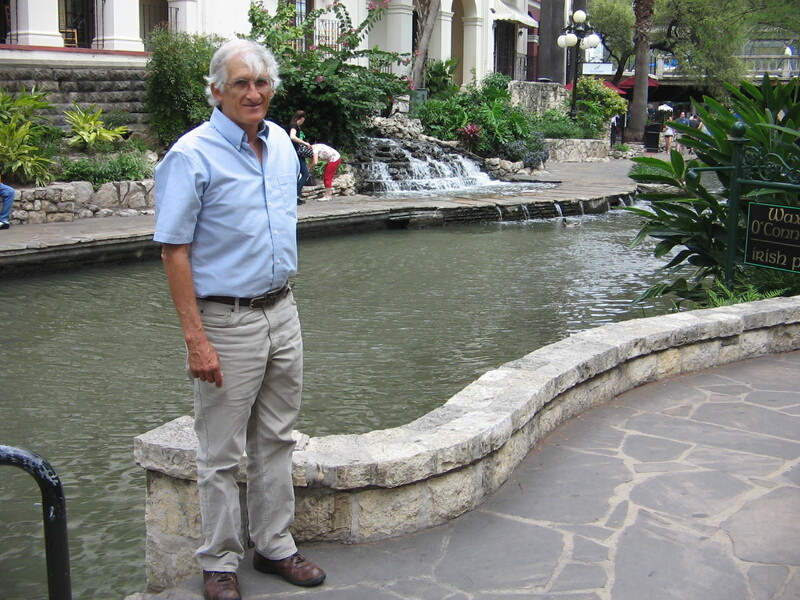 Besides seeing the Alamo, San Antonio’s famous River Walk is another must see. We checked out restaurants and shops there, selecting a Mexican restaurant as our lunch stop, where my lunch was a plate of delicious tamales. Nueva Bridge dam. 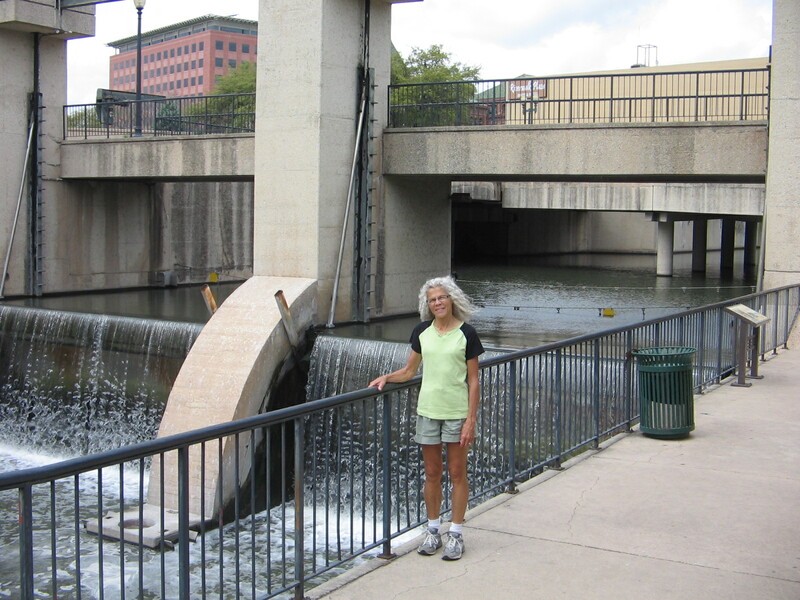 Several dams, locks and a flood control tunnel have been built in the San Antonio River Walk area over the years to control the amount of water flowing in the River Walk area. River Walk downstream from Nueva Bridge dam on the way to King William Historic District. Hemisfair Park with Tower of Americas in background. 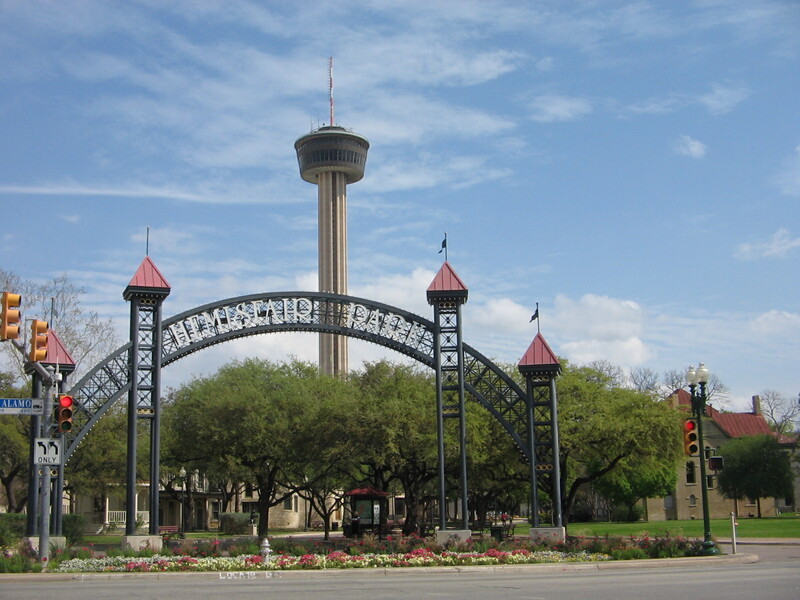 The park was built when San Antonio hosted the World’s Fair in 1968. 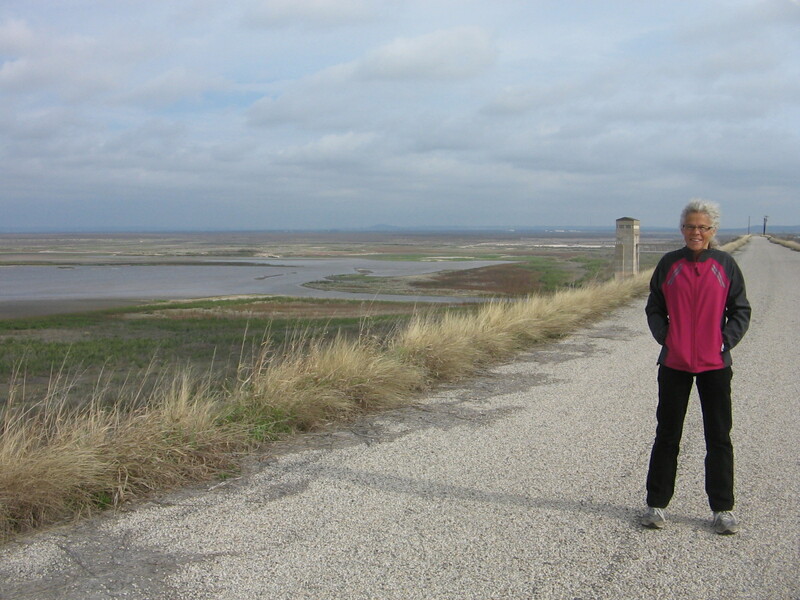 Saturday as we drove west and north out of Austin, our goal was the city of San Angelo. 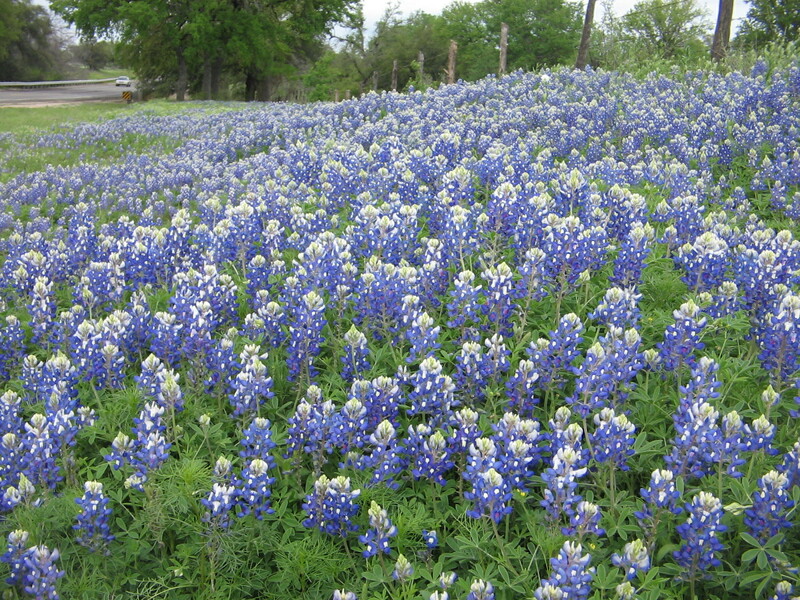 This took us through the heart of what is known as Texas Hill Country. 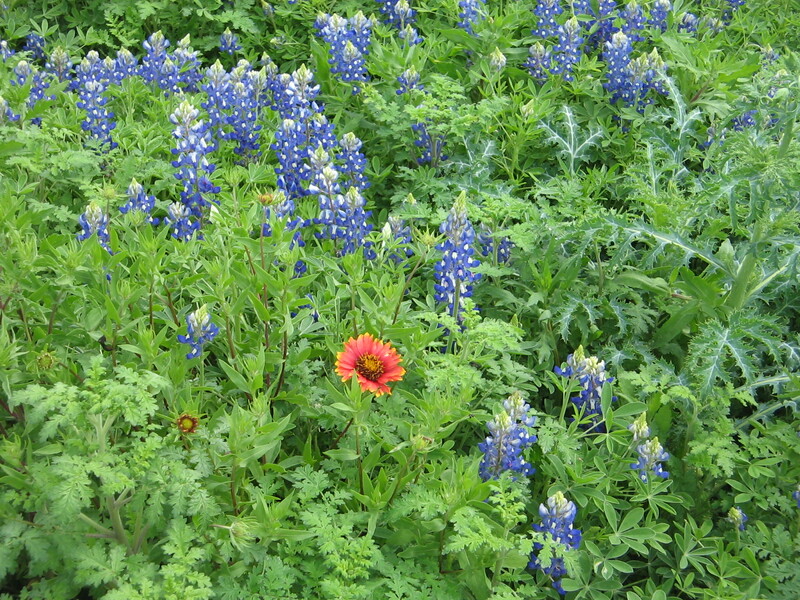 One of the attractions in this area each spring is the abundance of wildflowers that grow along the roadsides. 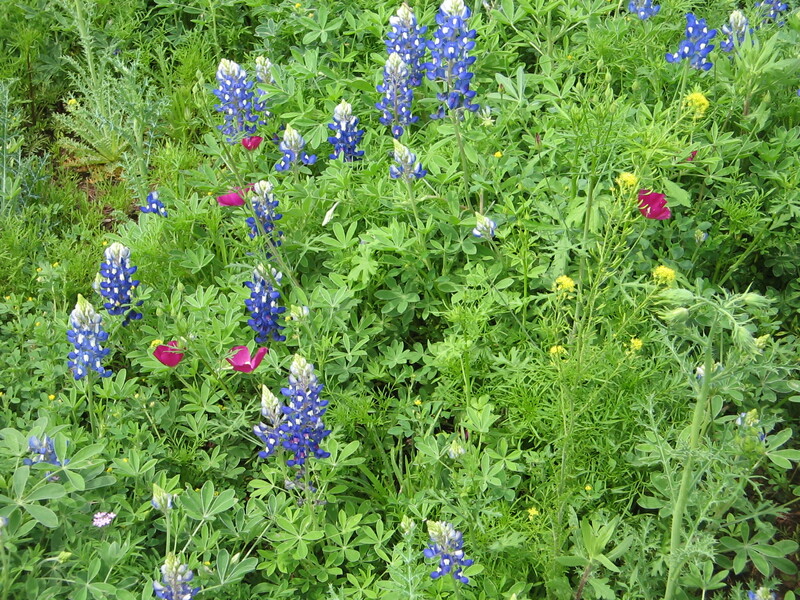 On one of our bike rides in Austin I had enjoyed the beauties of bluebonnets in blossom along the bike trail. 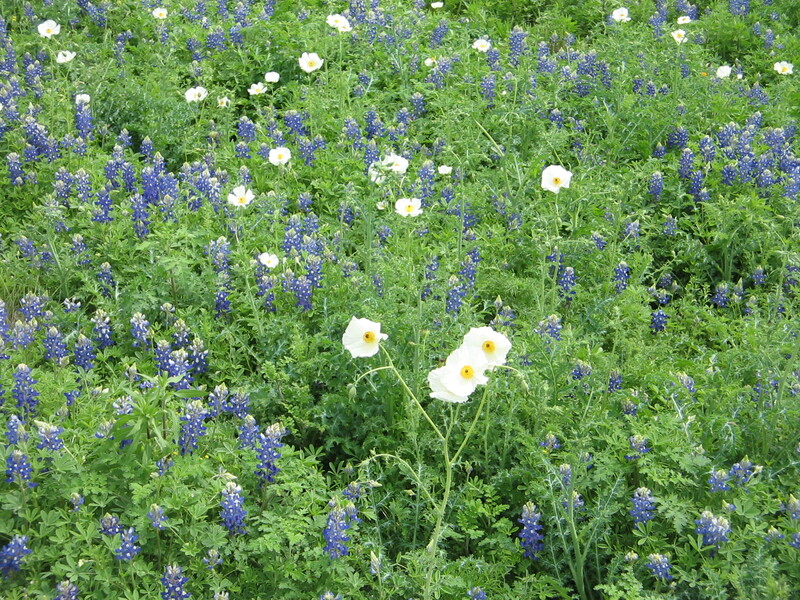 But I had no idea what was in store for us on our drive through “The Bluebonnet Capital of Texas.” I have never seen so many wildflowers in my life. I kept thinking each place along the road was the best so far and I just had to tell Lee to stop there so I could get one more photo. Of course, it seemed every time I wanted to stop there was a pickup truck or car right behind us. To prevent a traffic accident we had to wait for another opportunity. As the day progressed we began to see that we weren’t the only ones who were stopped along the road at various places out in a patch of flowers trying to get a good picture. There was just no way to capture all of it but here are a select few. The springtime spectacular that we got to enjoy on our drive to San Angelo was a sharp contrast to our “sightseeing” in San Angelo. 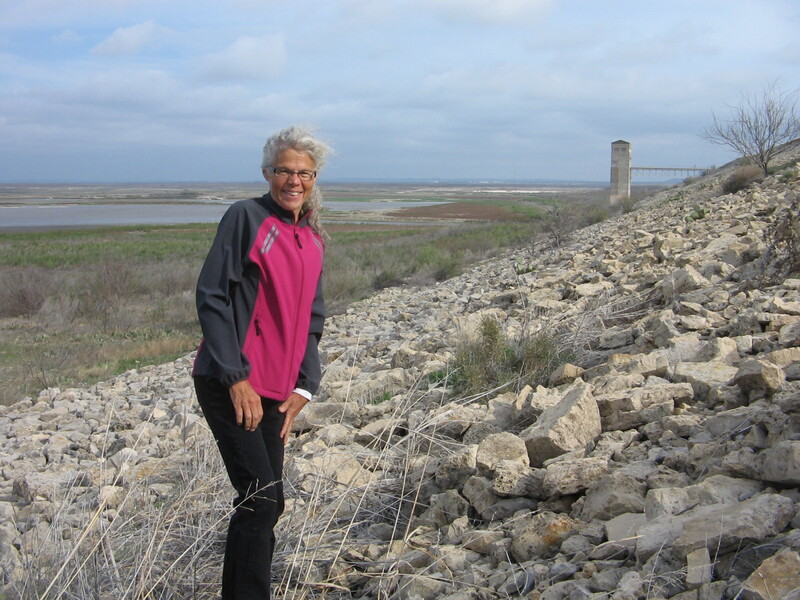 We had looked at a map and knew that there were a couple of lakes in the area, the Concho River that flowed through town, and a reservoir outside of town with a state park. We made plans to camp at the state park. 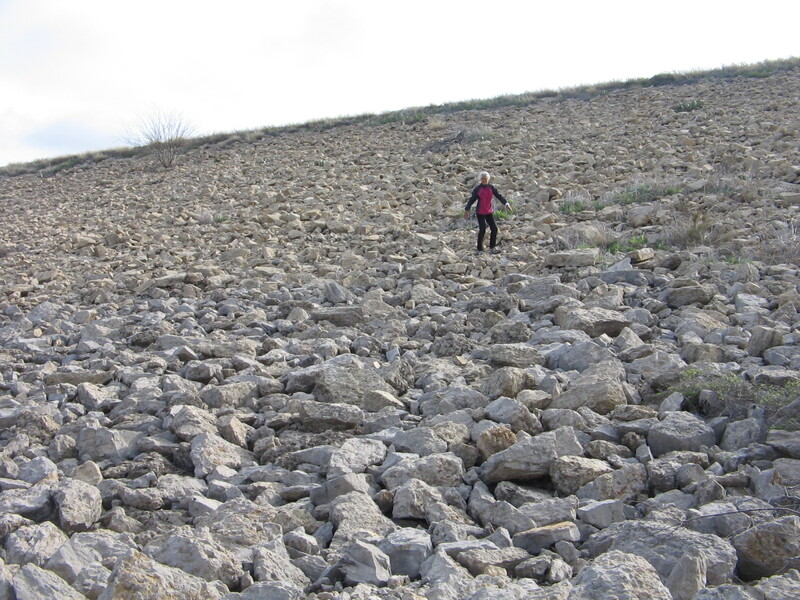 What we hadn’t realized was that this part of Texas has not recovered from several years of severe drought conditions. The reservoir at the state park has shrunken to about 1% of it’s original size. The dam that created the reservoir is huge and hovers over the whole state park but there is no water for the dam to control. Ironically, it had been built after a 1936 flood that washed away homes and businesses on both sides of the river. It was completed in 1952 at the latter part of a seven-year drought. Scoffers joked about building a big lake in a place where it never rained. The first and last time that the lake filled was in 1957, after a tropical depression stuck over Texas, caused statewide flooding. Sadly, its current state of dryness is not the first time that it has dried out. 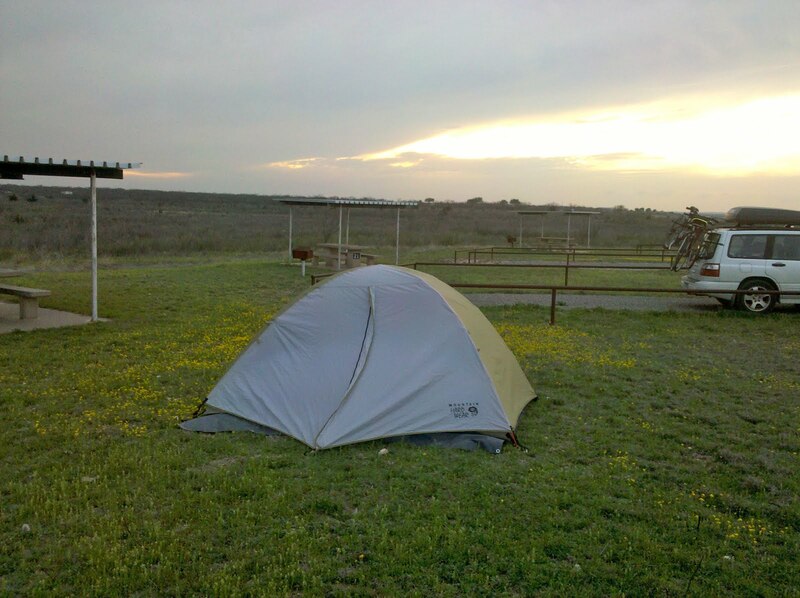 The other unforeseen circumstance in our San Angelo campout was the open barrenness of the tent camping area combined with last night’s strong spring winds. Our poor tent whipped and flapped all night long as it was battered by the winds that gusted continually. In dismantling the tent in the morning we weren’t fast enough after we pulled up the stakes and a gust of wind grabbed it, tumbled it over and one of our tent poles snapped. Before we left town we found an outdoor store where we bought a tent pole repair kit. But we knew we wouldn’t be camping tonight. We are in a hotel room in Fort Stockton, Texas. Lee spent a good part of the evening working on repairs, and depending on tomorrow’s weather, we may get to try out his repair job by attempting another campout. It looks like Lee needs to visit a barber pretty soon. Enjoyed the post, you are really clocking some mileage. You're right about the haircut…I've been saying the same thing for several days, but haven't yet come upon a barbershop at the right time and place, which pretty well describes our style of travel. Hope you continue to enjoy our travels and especially your own local places. Sure hope the repairs went well. At least the tent held up during the night. After reading this, I am reminded that I haven't been to the Alamo nor visited the RiverWalk…have been only to Dallas, Texas. Those wildflowers, especially the Bluebells, are just extraordinary. Glad you were careful watching traffic. Next Next post: Warm Weather and Sunshine, at Last!